Discussion in 'Bugs' started by vis_ionmas_ter, Jul 31, 2013. I figured out you can hover over the end of level flag with Sophia. It happens [so far] on every level. Im including a screencap. Thanks for the awesome game!!!!! 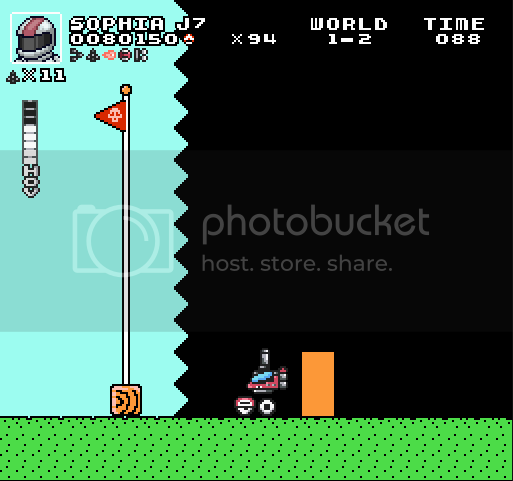 It's not a bug, in some levels in SMB special, there's stuff over the flag.